In 1985, our family got a new camera and went on vacation. I can not tell you how many pictures we took using Kodak film. Yes, that was back in the day when you took a picture and then had to wait a few days to see what was really in the picture. Kodak was everywhere. Amusement parks had Kodak picture stations. People tried to get a Kodak moment. In the 1980’s the Kodak company employed over 60,000 in the town of Rochester, NY. Their research division was top notch. They invented the digital camera in 1975. The perfected instant photography in 1976. In the 1980’s it’s copy machines were the best in the world. In 1984, the rolled out 8mm cameras. In 1986, hey developed a battery as good as the best Energizers or Duracell’s. In 1987, Kodak invented OLEDS – the backbone of every HD flat screen tv. Kodak was the major player in medical imaging. They even owned the rights to Bayer aspirin. Kodak had it all. And they went bankrupt in 2012. A whole generation has grown up not knowing their iconic name. Numerous leadership books have been written about Kodak – along with other pioneers in the field – Xerox, IBM. Companies that were king for decades and are completely forgotten now. They had gotten too drunk on their success, they never realized what they had and devoted their resources to making it even greater. If someone had only called them back one step and allowed them to move forward more judiciously, those companies would probably still be household names. Past successes do not guarantee future results. We need to take stock of where we are, not focus on what others are doing, and then move forward into what God has called us to do, in this moment, in this place. This is the message of the prophet Malachi. After 12 weeks, we are concluding our journey through the 12 minor prophets. Short writings, many only a couple pages. Written over a period of 400+ years. All with the same theme. Calling the people of God back to the covenant so they can move forward, looking for the fulfilled promise of redemption history. Malachi is it. The last recorded prophetic address. The name Malachi means the messenger of God. Now, the messages cease. The next 400 years are silent. Plenty of history will happen. Plenty of documentation records what the Jewish people endure during that time. We have the intertestamental literature of the Maccabean defeat against the Greeks. But the prophetic voice of God is quiet until another messenger visits Elizabeth and Zechariah, then Mary and Jospeh – where the fulfillment of these books of prophecy begin to play out once again. 1 The Lord of Heaven’s Armies says, “The day of judgment is coming, burning like a furnace. On that day the arrogant and the wicked will be burned up like straw. They will be consumed—roots, branches, and all. 2 “But for you who fear my name, the Sun of Righteousness will rise with healing in his wings. And you will go free, leaping with joy like calves let out to pasture. Malachi’s prophetic address does two things. It foretells that God will keep his promises in the future. But mostly, it forthtells. It tells the people what they must do, how they must live to keep their part of the agreement they have made with God. The covenant is mentioned numerous times throughout the 4 chapters. In fact, every separate oracle, every separate word of God, every separate address aimed at different segments of the population refer to the covenant they have with God. The entire people group God has chosen to eventually reveal the Redeemer in has a covenant. There are covenants the priestly class has with God. There are covenants of peace, there are covenants of marriage, there are covenants on how you act. There is the covenant of the exodus, the covenant of Mount Sinai. An accordingly, there are blessings that come along with the fulfillment of those covenants. There is even a hint that the covenant of Noah and Adam will also be upheld – giving us a glimpse that salvation history is not just for the ancient Hebrews but all those whom God has created. Malachi is reminding his audience that we have a responsibility to participate in the covenant. Most scholars believe that Malachi is speaking to his fellow Jerusalem residents in the era of Ezra and Nehemiah. If you remember that timeline, Nehemiah was granted permission to come and rebuild the city and the temple. The second temple had been completed. The walls had been restored. But no Messianic period was immediately ushered in. So people gave up. They became lazy. They half-heartedly went through the motions. To paraphrase the Field of Dreams, just because you build it, doesn’t mean someone comes. Malachi and others remind the people that the attitude of the heart matters. They way they live the mundane parts of the day makes a difference. How they worship and serve God makes all the difference. Each of us have a responsibility to participate in God’s covenantal promise: We find the first one in Malachi 1:2. It all begins here. God’s love for us. His unconditional love for us. The love that burns through the darkness and lights up the very inside of our being. The love that holds the persons of the Trinity together. The love that warms are heart at the altar. The love that gives us strength in times of sorrow. The unfailing, love of God. This scene probably plays out in conversations between teenagers and their parents on a regular basis! Malachi begins to recite how much God loves his people. He takes them through a brief journey of the covenant with Abraham, he reiterates his loyalty to them after the Edomites – their cousins had turned against them. He reminds them of the Exodus from Egypt. Malachi reminds them that God loves them even within desperate economic and political times. That alone is a huge point. Too many people believe that God’s love for them automatically makes them more successful, better than others, on top of the world. That has never been the case. On occasion, the people of God may enjoy success, may enjoy political power, may be placed in positions of authority. But the majority of history has not seen it that way. Why is that? Because that’s not the way God does things. God is the God of the poor, the God of the oppressed, the God of widow, the God of the orphan, the God of the forgotten ones, the God of the sick, the God of the disabled, the God of the sinners, the God of the imperfect, the God of the immigrant, the God of the stranger. The Kingdom of God is not of this world. The power structures of this current life are just a pale sham of God’s eternal plan. The Unconditional love of God is actually available to all – but few take it. And in Malachi’s days, many were declining it. Too many people say one hiccup in the road and thought God stopped loving them. Not true. God loves you. Let me repeat that. God loves you. Every single covenant God every created was born out of his love for you and me. The birth in Bethlehem, the torment on the cross, the Resurrection on Sunday morning – all was born out of God’s love for us. The question is – will you receive it? Or do you have other loves you prefer to hold on to? There’s only room for one. This is why we support missions. Yes, I am glad when we can get water wells dug in villages or supplies to open schools in volcano ravished districts. But those projects are just tools to let all people know that God loves them. The second responsibility we have in God’s covenant promise is to worship with integrity. What does it mean to worship? To really worship God? I’m not talking about just singing songs or gathering together for a community meeting on a Sunday morning. I’m talking worship. Worship is giving credit where credit is due. Worship is the attitude the creation takes to the Creator. Worship comes from a perspective that the LORD really does have the best intents and plans for our life. There are several ways to worship. One is to show up for obligation. Because you have to. I’ll kneel on the outside, I’ll mumble my prayer and then I’ll leave as soon as I can. That’s fake worship. It’s worthless. I would much rather someone come and be authentic – making the choice not to worship if they are not ready to yet. If you are going to do something do it with integrity. That was the whole point of Malachi’s address to the priests in verse 10. They were showing disrespect. They offered the sacrifice of worship when they felt like it, with the scraps and leftovers – the blemished animals – contrary to what they had been instructed. God made it clear to them – If this is your idea of temple worship, I would rather you shut the doors. It would have been better for you not to rebuild the temple! If you are going to worship – Go all in! Don’t hold back. Don’t play it safe. As pastor of this church, and I think I can speak for the entire leadership of this church. We want to worship with integrity. We want to bring the best we can every single week. The songs, the sermons – that’s just part of it. Worship is more than that. Our desire is to teach faithfully according to the scriptures, to live out daily the life that God has called us to, to use what resources we do have for the honor of Christ. To swing for the fences whenever we get a chance. To take the calculated risks for the advancement of God’s love. To never be satisfied with the status quo or “playing church.” I have long said that the moment we settle for less than God’s vision for this church, for Wellington, for Sumner County, than we might as well close the doors, sell the building, and cease operating. But I firmly believe that our desire is to worship with integrity and see the great things coming! Malachi addressed a third responsibility we have. Honor your family. (2.14). This message is repeated throughout the New Testament. It has its basis enshrined in the 10 Commandments – Honor your father and mother. It is enshrined in the ancient tradition of hospitality. It plays a factor in the saga of Abraham’s sons. At the heart of this command is faithfulness. When you are faithful to what God has entrusted / gifted to you / particularly your family, you are showing honor. This is the underlying context of this passage. Interestingly enough, Matthew, the first NT book located just a page or 2 away from this in most of your print Bibles, begins the narrative of Christ’s birth with a family lineage. Too often, well-meaning people will quote three words from this passage ---" I hate divorce” and then pull it out of its greater context of honoring family – and making divorce the highest sin of all. That is mishandling the text. Anyone that has gone through a divorce, or are kids from a divorce, know that is a painful experience and no one would wish it on someone else. What this passage is addressing is the break down of faithfulness to family by the one holding the power. Marriage vows are sacred. It is a covenantal sacrament when in the context of a Christian relationship and Christian community. We encourage strong relationships, we encourage pre-marital counseling, and we encourage marriage mentors – those who have survived the struggles and arguments and have wisdom to hand to the next generation. We also know that God can create new love in situations and can heal wounds from past broken and abusive relationships. Our 4th responsibility is to provide justice for the oppressed. In probably the clearest picture of what the coming future judgement will hold, is this image of a trial. Who will be at peril of being found guilty at the trial? The ones that have not integrity, the ones who are unfaithful to their family, and the one who demean others. When I read and study about the coming judgment, the fearful day of the Lord, it strikes me that this theme becomes a dark apocalyptic thread, full of fire and brimstone. But there is a whole other side to this coming judgement day that is positive and inspiring. I think our perception is distorted by viewing everything as a criminal trial. The day of judgement is more of a sorting day than a day of peril. It is only a day of peril for those who follow evil and reject God. It should not cause any fear among any believer. It is on this day, that God will examine if we have provided justice for the oppressed. This passage directly addresses those in authority and power who do not practice economic justice, who do not provide for the care of those unable to care for themselves, and who do not grant basic human rights for immigrants who live among us. Certainly, there can be laws and regulations that call for compassionate ways to address these issues. And there are plenty of ancient Biblical models in both the First Testament and the New Testament that show the people of God were regularly engaged in social services – including to those with whom they had substantial moral and ethical disagreements. That obligation does not just belong to those who are in political power. It belongs to each of us. Because we were strangers before Christ took us in. When God compels our Spirit to act and take in someone of the street, or buy somebody lunch, or give help the red kettle campaign raise money for emergency social services in town. These are all ways we can provide social justice in our community. When we stand up for the kid being bullied at school, when we befriend the kid that no one sits by, when we argue for someone’s right to do something that we personally disagree with – this is all showing God’s love through justice. Malachi’s fifth responsibility to the covenant is probably the one many of us have heard the most. Give generously. 3:10 is all about bringing the tithes into the storehouse. In this passage, God alleges that the people have cheated (been unfaithful) to God because they did not bring in the tithes on a regular consistent basis. What were the tithes used for? Three things. The operation of the temple, the support of the priests, and emergency community needs. These are the 3 main things that we use tithes and offerings for today. Our ministry operations, the financial support of the pastors, and local and world missions giving. This was even more crucial for the temple then – because the entire tribe of Levi had been dedicated to public service and could not earn a living except from what others provided for them. The way the storehouse principle worked was that God’s blessings on the people had a direct correlation to what was faithfully given. Unlike some prosperity teaching – the goal of giving was never to get rich – but to always reinvest your own blessings so others could be blessed in turn. Our ministries of this church today would not exist had it not been for countless people decades ago giving generously. You may never see the impact of your generosity today – but it will affect countless of future generations. Thank you, church, for giving generously. This was key to all the minor prophets. They call us back to recognize the resources we have, the heritage we have been granted, the blessings we have received, so that we can look forward to what God has in store for us. It is too easy to do the first five of these things and forget this final one. The first five make us good decent humans – better than most people around. We are faithful, show integrity, help our neighbors., give justice, show mercy, live generously. But if that’s all there is to it, then we missed one important thing – We must be looking forward to the return of our LORD. Our game plan is worthless, if we don’t have the end in mind. What made the once highly innovated companies of Kodak, Xerox, IBM and other blue-chip of a generation ago fail, is they forgot to keep focused on the end game and became reactive. The moment we forget that the promised Messiah is returning to culminate his Kingdom, we lose out on the power of living in this day and age. Even in our pain, we can have joy. Even in our distress, there is healing in his wings. Even in our wait, there is freedom. For me, the coming day is not of judgement, but of joy. Not of vanquishing, but of victory, not of remorse, but of remembrance. But let me reveal to you a wonderful secret. We will not all die, but we will all be transformed! 52 It will happen in a moment, in the blink of an eye, when the last trumpet is blown. For when the trumpet sounds, those who have died will be raised to live forever. And we who are living will also be transformed. 53 For our dying bodies must be transformed into bodies that will never die; our mortal bodies must be transformed into immortal bodies. 58 So, my dear brothers and sisters, be strong and immovable. Always work enthusiastically for the Lord, for you know that nothing you do for the Lord is ever useless. Let me close with this. Jesus will always remember you. The movie headlining the downtown theater – James Dean starring in Rebel without a Cause. The top songs on the radio: Bill Haley and His Comets – “Rock around the Clock” or Mitch Miller’s “The Yellow Rose of Texas.” Elvis was just starting out. If you want a picture of this idealized age, just stop in any Spangles Diner – you get the picture. The year – 1955. Some of you remember that era! But that picture is incomplete. It’s scrubbed of an ugly side of American history. A time filled with hate, bias, and prejudice. And during that moment, some 63 years ago now, a young 14-year old was brutally tortured and murdered. The searing images of America gone bad was thrust back into the national consciousness this week as the United States Department of Justice quietly reopened the murder case of Emmett Till. His family appeared on television this week, pleading for justice once again – a cry they had been sharing for 63 years. For many in the African-American community, the words of Habakkuk in the first chapter are a familiar cry. Does God get it? Is he in control? Does God Get it? from Wellington First Assembly on Vimeo. We continue our study of the minor prophets today. Twelve short messages, written over a period of 400 years, chronicling the terrors and evil that each generation lived in, looking toward God for help, proclaiming a prophetic message that unless people turn from their wicked ways, their unjust treatment of their neighbors, the consequences of sin would overwhelm them. Let’s set the historical state. King Josiah was the ruler over Judah. A righteous just king, ascending the throne at the tender age of 8, he had re-discovered the book of the law, the scriptures of Moses and established reform. He reigned for 31 years, from 640-609 BC, establishing fair trials and mediating justice. Things were going about as well as they could. But spiritual blessing while pursuing God does not always equal material success. The world’s super powers were shifting as the Babylonians and Egyptians fought over Assyrian territory, using Judah as it’s battleground. In 612, BC the Babylonian army conquered Nineveh (completing the prophecy of Jonah) on their march toward Judah. Josiah died in battle in 609 defeated by the Egyptians, allies of the Assyrians who were trying to stem the invasion of Babylon. The Egyptians placed Jehoiakim on the throne of Judah, over the rightful successor of Josiah. From that day forward, the land of Judah was forced to pay tribute and would never be independent again. Five years later in 604, the Babylonians advanced towards Judah and Jehoiakim switched his allegiance to Babylon from Egypt. The Babylonian army was challenged by the Egyptians and retreated – so Jehoiakim switched his alliance back to Egypt. That did not last long as Nebuchadnezzar mounted another campaign six years later in 598 resulting in the eventual fall of Jerusalem in 586. In a short 25-year time span, Jerusalem and Judah went from a peaceful righteous country to being conquered and taken into captivity. Habakkuk’s prophetic message was written somewhere between 608-605 BC. He saw the impending storm clouds on the horizon. He was already seeing the just reforms instituted by Josiah being broken. He was worried about his country and God’s promise for his people. Habakkuk writes from the perspective of the poor and powerless. He, as many, had expected that the religious reforms would bring national blessing, not national disaster. His own countryman had resorted to violence and oppression among themselves – each doing what they thought was right to survive, instead of allowing the sovereign Lord of history to guide their moral actions. Like many of his fellow citizens, he wonders, he questions, he cries out to God. Where are you? Do you get it? His first complaint, his first question is found in the passage we read earlier. Let me paraphrase that question into one that we often cry out? This is a question that everyone asks when they see the news. Someone else has been murdered, another plant has closed down, the wrong person got promoted, A boss gets away with sexual harassment, police misconduct, government corruption and yes, even pastoral abuse. The stories are endless. To those living in the situation, the pain is real, the desire for justice unsatiated, the urge for revenge – heightened. It’s one thing if it’s just a moment, or a month, or a year. But when injustice resides for an extended part of time, a decade, a century, that injustice becomes so engrained into the culture that those with privilege do not even see it. So Habakkuk’s cry echoes again. The cry does not fall on deaf ears. The Lord hears Habakkuk. And he answers with a resounding NO! You are not stuck with injustice. This too will pass, because I am in charge. In fact, you are going to be surprised and amazed at what I’m going to do. Verse 5 says it like this -- You won’t believe it! And Habakkuk, is going yea, tell me what’s going to happen? Who are you going to raise up to defeat the Egyptians that are holding us down. Who’s your secret weapon? Are you going to raise up a new Samson, a new Moses. What, tell me. And the LORD says, I’m bringing in Babylon to drive out the Egyptians. And Habakkuk, stunned upon hearing this, mutters under his breath – I don’t believe it. So your plan is to trade out one oppressor for another? That doesn’t sound like a plan. Don’t you get it? We need some help here. NOW! We all know this feeling. It’s when one shoe drops after the other. When things pile on, one at a time, seemingly never ending. The easiest thing to do is to quit and give up hope. Supposedly, right beyond the next obstacle is the sunshine. But do I really have to go through that? If you have ever felt that way, then you are not alone. For Habakkuk, this answer terrifies him. Concerns him. Makes him legitimately upset. Anger tinges in his voice. He launches another complaint towards God. Because God’s answer seemed to contradict everything he knew about justice that he had learned when Josiah was king. We find his complaint in verse 12.
surely you do not plan to wipe us out? to punish us for our many sins. 13 But you are pure and cannot stand the sight of evil. Will you wink at their treachery? swallow up people more righteous than they? Habakkuk understands that the mediation of justice means that there will be consequences and corrections for those who have done wrong. But he is having a hard time comprehending, as do all of us, that God would use the unjust to punish the unjust at the expense of the just. Consequences of sin are far reaching. When someone commits a tragic felony, it has a lasting traumatic impact on their entire family, even into the next generation. For Habakkuk (and for us) this threatens his very understanding of who his just God is? How can a just God continue caring for his chosen people if he allows evil to beget evil? This makes no sense. Can he continue to serve a God like this? That’s a question that every person wrestles with, especially when they are in their early young adult years and first begin to encounter the systemic sinful nature of this fallen world. Where is God? Does God get it? Does God care for me? Where is his justice and love? Should I not get an immediate reward if I do the right thing? Habakkuk rightfully recognized that God’s justice and righteousness is the core guarantee of the covenant, the special relationship with the chosen people. Everything falls on this. The same very special relationship which has now been extended to each of us through the actions of Jesus inaugurating the new covenant by suffering the injustice of the cross yet delivering true justice in the resurrection. Habakkuk does something different from people who just complain. He actually puts some effort into learning the answer. The text says that he climbed up into his watch tower, he performed his guard duty – doing the best that he could with the understanding that he had to continue to ensure that he could bring what little justice there was in the protection of his people. The second thing he could do while watching guard from a high tower was to look for the answer that he knew God would bring. The difference in approach between Habakkuk and many of us – he expected God to answer his complaint. Otherwise he would have never watched, waited, and worked for justice. How many of us complain, but never do something about it – even as limited as it could be? Habakkuk received his answer. A resounding NO, the just will not be wiped out. In fact, the LORD said, put it in big print. Write it on the largest tablet you can find. Shout it out so all can hear. I am a just God and I will provide justice for my people. Verse 4 is God’s everlasting guarantee. They trust in themselves, and their lives are crooked. But the righteous will live by their faithfulness to God. In the ancient writing style of the time, this verse would be in bold, italicized, made into large font. You can tell by the chiastic structure of this couplet. The first verb TRUST connects with the last noun FAITHFULNESS, while the description of crooked lives contrasts with righteousness – which literally means that which is not crooked. God’s answer is clear. Anyone who is proud in their own might – The Assyrians, the Egyptians, the Babylonians, the Americans – anyone who trusts in their own wicked hearts will never be just. The only way to see justice in this world is to live in righteous by being faithful go God. This, my friends, is the message of salvation. This is where the apostle Paul, in both of his writings to the Ephesians and the Romans proclaims that salvation is a gift of god, received by grace not by any work that a person can do, because the righteous shall live by faith. It sets out the eternality of God’s love for us. We will not be wiped out, no matter what circumstances come against us, not matter how long those circumstances last, because we have faith in Jesus Christ -- the author and finisher of faith. It is hard being patient. For the family of Emmett Till, 63 years is a long time. For many of us, we will never see the final outcome of injustice that has happened to us. If you are like me, I want things wrapped up, nice and tight, in a shiny bow. I wish that all the world’s problems could be solved in a 30-minute episode of an evening sit-com – but it doesn’t work like that. Justice comes. Justice is coming. Evil has an expiration date. The message God had to Habakkuk clearly foretold of the Righteous one, who would be born in a stable in Bethlehem. Justice inaugurated. Habakkuk never saw it – but those who read these words and followed the instructions and tarried and waited and rejoiced. Simeon and Anna were waiting at the temple for Jesus to be presented for circumcision. What we see as a delay is God working in history. What we think isn’t fast enough is exactly in accordance with God’s timing. The early Christians, beginning to see persecution were reminded to tarry, to wait and long for the second coming of Jesus Christ when final justice in this world will be resolved. This time, the author of Hebrews connects the return of Jesus Christ to Habakkuk 2:3-4, as he quotes this verse, urging fellow Christians to do justice as the await the second coming. As Christians, living in our time of history, it is our duty to actively wait for Christ to return. How do we actively wait? We do acts of justice, acts of compassion. We are called upon to oppose evil and injustice in all forms– even and especially when it conflicts with our preferred political party. This is how we usher in the kingdom of God and see the end of evil. One final question that Habakkuk raised was, 4. Where is the Real Ruler? In a time when Judah’s king kept vacillating his policies to stay in power, committing unjust acts upon the very people he was to observe, and world superpowers were using Judah as a punching ground, this is a very appropriate question. Where is the real Ruler? The answer comes in 2:20. The LORD is in his holy temple. Justice and Righteousness is all connected to holiness and sanctification – being in right alignment (not crooked) with God and ready to do as he asks. God still reigned in Jerusalem. But he does more than occupy a space in a temple. The Earth is the Lord’s and the fullness thereof. His creation is his temple. We are his creation and Jesus can reside within us, guiding our actions. If anything this, answers the question of where God is. He is not a distant deity who set the world in motion and abandoned it. He works in the processes of history guiding his plan of salvation for each of us. Yes, God does get it, otherwise he would have abandoned us long ago. It is because of these answers that Habakkuk can write the prophetic prayer hymn in chapter 3. A quick glance at this chapter reveals that the prophet is recounting every time in history that God acted to preserve justice despite seemingly overwhelming odds. As Habakkuk recounts these stories his faith grows stronger, knowing that God is ageless, and his plan has always been faithful. He remembers Moses and the Exodus across the Red Sea, he recounts the sun standing still for Joshua. God always saves his people. Everytime. No Exception. This is why Habakkuk, with the present realities of the world still in front of him, can conclude with these words. Habakkuk recognizes that times are bad, yet he knows who is LORD. Does God get it? Does God hear our cry? The answer is yes, he does. Habakkuk saw the future when justice will reign and God defeats evil once and for all. Your vision of the future determines how you see present realities. A lot of people think that their past defines them. Certainly, it does contribute to their identity, their prejudices, their biases. Good actions, or bad, acts that we did, or our families or our culture does have an affect on us. But if that’s all we are focused on, we can never move forward. There is one thing even stronger than the past. And that is your vision of the future. Are you focused on impending potential calamities because that’s all you know? The Babylonians coming across again? Or are you focused on a future when justice shall reign? Your interpretation of the present will be determined by what you believe or do not believe God is doing. For some, because things haven’t been good, when they see present reality as tough, they give up on God, give up on themselves, give up on their family. For others, looking towards the future, the present realities are things that can be overcome. Ever wonder how two people, who have experienced the same calamity, can have vastly different outcomes? It always depends on their forward vision. A rock in the way is either an obstacle or a stepping stone. When we keep our eyes focused on Jesus Christ, the injustice of the present fades away. O soul are you weary and troubled? I will learn to wait for the sovereign God to work his plan. Yes that one is hard. Habakkuk reminds us to focus on the Sovereign God. He points us towards the Messiah and new life in Christ. Our job, hard as it is, is to allow God to finish the work that he has begun. Does God Get it? Yes, he does. Do we? Not all the time! So don’t be impatient, work for justice in the middle of the trials, and let Jesus be in control. Do You Hear God Singing? I hear singing every where I go. Whether it’s my daughter listening to a YouTube video, a car radio cranked to heavy bass thumping, a fellow gym rat wearing a Bluetooth to keep up their pace – music is everywhere. We sing in in the shower, we sing at church. We sing at the ballpark about cracker jacks. We sing off key. We sing rap, jazz, country, and opera. The whole world is a singing. From what I understand, the iTunes library of music has well over 26 million songs. It would take several lifetimes to listen to all that music. Whose music are you hearing? Today, we take a brief look at the short 3-chapter minor prophet of Zephaniah. Minor because of the brevity of his message, these writings pack a punch. Zephaniah is one of 12 prophetic writings in this collection, and the 7th one we are looking at in our series as we progress through them historically and sequentially. Do You Hear God Singing? (Zephaniah) from Wellington First Assembly on Vimeo. So where does Zephaniah fit in? He is a contemporary of Jeremiah (a major prophet) as well as Habakkuk – a fellow minor prophet we looked at last week. He is writing in the same context at the end of King Josiah’s reign as the entire land is becoming a battleground between the changing superpowers between Assyria, Egypt and Babylon. He too, writes of the impending time of Babylonian captivity. Zephaniah writes from a slightly different perspective and towards a different group than Habakkuk – he focuses on the broader geo-political schemes. 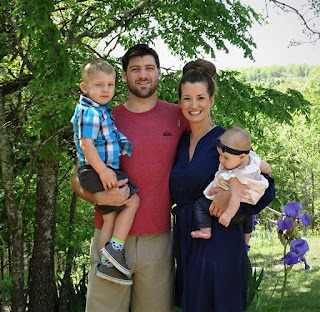 Many scholars believe that the very first verse of this writing indicates that Zephaniah, paying close attention to his genealogy back four generations, connects him as a great-grandson of King Hezekiah, one of the powerful, righteous kings of Judah. That would make Zephaniah part of the extended royal family, with access to insider information. As such, he would have been respected by his peers. He used that position to bring warnings to the people of Israel that unless they turned away from their own sinful actions, they too would face the wrath and consequences of sin. The opening chapters of Zephaniah paints a dim picture. The wrath of God seems like it is ready to undo creation. Genesis is rewound. During the day of the judgement, first humankind, then beasts of the field, then birds, then fish are all destroyed – the exact opposite of how they were created. It appears that the covenants enjoyed by God’s people will be dissolved, not only are the surrounding nations dissolved – the ones who were supposed to blessed through the covenant of Abraham, but also Judah, home to the Davidic covenant, would be destroyed, the temple destroyed, and the palace put in ruins. When more attention is put on nationalistic pride instead of attention to God’s moral laws, judgement is imminent. Although a contemporary song lyricist might find plenty of material in this angst, this doesn’t sound like a happy dance, does it? Is this message of doom and woe, of cataclysmic dystopia the song that you are hearing? Is this the song that God is saying? Because God doesn’t forget his covenants. He keeps his promises. He promised Noah that he would not destroy creation again after the flood—his provision of the ark and his testimony in the rainbow sealed that deal. He promised Abraham that through his seed, the nation of Israel would become a nation of blessing to all cultures, friends and foes. He promised David that a descendent of his would always be seated on the throne – not just in the capitol city of Jerusalem, but above all creation. He reassured David that even though a temple of stone could be built, God does not reside in a building, but in the hearts and lives of men and women who serve him. Yes, there is a coming a day when destruction assails you. But God has always and will always provide a way of salvation. This is the message of Zephaniah that we find in the closing chapter. You may remain seated as we read aloud, together. Zephaniah 3:17-20.
you will be disgraced no more. 19 And I will deal severely with all who have oppressed you. those who were chased away. wherever they have been mocked and shamed. as I restore your fortunes before their very eyes. His song is not one of destruction, but of hope. His song doesn’t bring fear, it yields calm. His song is not about judgement, but of salvation. When we hear his song, we remember he is living with us. His presence is near us. Just as the soothing song of a mother can calm the anxious crying child, so the peaceful melody of the LORD can drive out all anxiety and fear. There are times in our lives where we are too busy singing our own song, tooting our own horns, that we miss the song of the LORD. Have you ever been in a practice or warm up room right before a school concert? Singers are in their corners warming up their voices. Flutes are practicing trills, drummers are testing their sticks, Brass players are running scales, guitarists are shredding licks. Everyone is focused on their own part, none of them are in unison. The cacophony of sound is deafening as everybody has their own rhythm and beat. This endless chaotic noise, once organized, will become a beautiful piece of music that will speak and resonate with the listener. When we live our lives too busy, too inward focused, too self-centered, too judgmental of others, we are no longer tuned into God’s wavelength. It becomes difficult to hear his message of love singing into our lives. But when we take the time and energy to focus on his song instead of our own, then we hear a message of salvation. This verse, Zephaniah 3:17 is the First Testaments parallel to the New Testaments John 3:16-17. God loved us, God lives with us. God saves us. What does the song of the Lord do? It brings salvation. Verses 18-20 give some specifics which are just as true today as back then. First, the song of the Lord re-establishes your honor and dignity. (18). You will be disgraced no more, verse 18 states. This is a message of restoration. The LORD recognizes that you have been in captivity for a while. The LORD recognizes that your spirit of joyfulness has been suppressed. That LORD recognizes when you haven’t been allowed to celebrate. R-E-S-P-E-C-T. Respect. That’s what all humanity craves. That’s what the students in my classes always say they want from each other. Respect and genuine appreciation for who we are and what we do. When we undergo trials, when we encounter pain and suffering, we discover that our dignity is not based in our possessions or family, but ultimately in our identity with our Savior, Jesus Christ. Our very essence was created, since the days of Adam and Eve, to worship God. To sing his song with Him. Jesus sought time alone with his Father. Adam walked in the cool of the garden to fellowship with Christ. When we lose those appointed festivals – those times of worship, those times of fellowship with our Savior whether here for corporate worship or in the privacy of your own home, we make it nearly impossible to Him to restore our dignity. But when we come together in humility and walk with Him, then the LORD is able to re-establish our honor and dignity. He raises us up. This is what happened to the eventual royal cousins of Zephaniah carried off to Babylon. Daniel’s honor and dignity were restored after the experience in the lions’ den. Shadrack, Meshack, and Abednego’s honor and dignity were restored after their experience in the fiery furnace. Yet in each of those situations, they listened to the song of the LORD and were saved. Ever been weak and helpless? We like to think that we are strong, invincible, self-reliant. There is more than just an element of pride there. We were born helpless into this world, and we will exit this life the same way. We want to do things for ourselves and become independent. And yes, that is all good. But as those of us who have gained a few years’ experience soon realized, without others in our lives, we become weak and helpless. The weak and helpless include those who have encountered poverty, disability, oppression. Many times those go hand in hand. The weak and helpless include kids bullied, women abused, people of color harassed. The weak and helpless include all those pushed down by economic misfortune or family violence. All of these things I just listed are not in the ideal plan God has ever had for his people. When we join in the song of the Lord, we discover his plan. In our disability, in our weakness, in our helplessness, He is made strong. In our trials, he forges character. He gives us new strength, like that of eagles. He gives us new authority, to do even greater things than Jesus did. Our task of people of God, who have been lifted out of the miry pit, is to use our new strength and authority – not to oppress other people, not to sit in judgement and condemnation, but to combat the forces of evil in this world and proclaim the kingdom of Christ. Our authority is rooted in Christ and gives us dominion – not over people, but over the evil present in this world, the principalities and powers of darkness that have been defeated once and for all at the cross. Our power lies in forgiveness. Our strength in love. Third, the song of the LORD reunites your family. He can bring together those that were scattered in exile. He can reunite those who were chased away. He can restore relationships between people who could not stand each other. He can bring people back home again. When government policies forced families to be removed from each other, separating siblings apart, sending them to different places in Babylon, this promise recorded by Zephaniah rang deep in their hearts—as they longed for they day they would see each other again. When slave owners in the South sold off sons and daughters from their parents, those black Americans sang spirituals longing for a day they would see each other again. When the Nazi occupiers took babies away from their mothers and scattered them across the country, this promise kept hope alive. In 2015, after 70 years of separation and exile, twin brothers born in a Polish labor camp were finally reunited. The message God is speaking is quite clear. He will bring us home again. Evil may separate us for a time, but eventually we will be reunited. For Zephaniah and his countryman, they longed for the day exile would be over and Jerusalem would be restored. For Christians, we understand that this world is not our home – we are just passing through. We long for the day when Jesus shall gather his people together and we live in the home that He is preparing for us. We look forward to his return – the day we will be reunited once again. A place of no more sorrow, no more tears. No more separation. Fourth, the Song of the Lord Recasts Your Character. This part of verse 20 is one of my favorites. It goes to the essence of redemption. It’s like the Witness Protection Program on steroids. Jesus gives us a new identity. We gain a new name. Not just any name. But a great one. A distinguished one. A royal one. One of my favorite Star Wars scenes came at the end of the 1983 Return of the Jedi when Darth Vader gets a complete character makeover. During the entire 3 movies he is portrayed as an evil villain – yet at the very end, he accepts an opportunity to be redeemed. His character was recast. We have to be careful when reading Zephaniah to not automatically place the different people groups into bad or good. Because the reality was the people of Judah faced their judgement because they had not been faithful to God either. They were not living up to their part of the covenant. Their job was to bless all the other nations of the earth – but they had resorted to doing evil just like everyone else as well. Yet, even in their sinfulness, this passage shows that the LORD will never leave us or forsake us. He is tenacious. He holds one and pursues us. When we allow him, when we give him access, he can change who we are, transforming us from what we have settled with into what we were created to be. This is what Jesus did with Peter, changing his name from Simon. This is what Jesus did with Paul, changing his name from Saul. Paul later writes to the Romans (12:2) that our minds (our character, our name) is to become transformed so we would do the will of Jesus who lives with us. As humans, created in the image of God, we all have capacity to do good things. The only problem with good things is – they don’t last forever. When our character is transformed through the power of Christ, however, we have the capacity to do great things – revealing His kingdom with all the authority given to us through His wonderful name. Salvation is a beginning point where we accept his name. The process of sanctification is where we allow His name to shape our lives and recast our character. Being a Christian is not checking off a demographic box on a census form. Being a Christian is allowing the Holy Spirit to continually work in your life to make you more like Christ. Finally, the Song of the Lord Restores Your Future. Zephaniah is a contemporary of Jeremiah. He knows who he is – he has heard him speak. One of Jeremiah’s verses heard and quotes often is (29:11) For I know the plans I have for you,” says the Lord. “They are plans for good and not for disaster, to give you a future and a hope. Zephaniah expounds on this theme. Not only will you have a future, but your fortunes will change. The Hebrew slaves did not have much before the exodus – but where showered with lavish gifts as they exited Egypt. Fortunes are not always prosperity – although it can be. Fortunes are more about the Future. What are the hopes and dreams you have that God has birthed in your heart? What can God do through your life for others when you are no longer held back by chains of oppression and bonds of fear? When you hear the song of the LORD, when you follow that song and walk in his joyful path, the future is not a dreaded dystopia, but a bright opportunity. Find the silver lining. Discover your abilities within your limitations. Share your gifts in the simple manner that you are able to do now. The key to overcoming rough times is being in tune with God’s song. There is no where in our study of this ancient writings that says we will ever be able to avoid rough times. People do stupid bad things and the consequences reverberate around the world with individual, national, and global implications. Not until the final judgement and Christ’s reign in a new heaven and new earth will rough times go away. Kingdom living is learning how to navigate the rough times with the power of Christ that he has given us. How do we do that? Be being in tune with God’s song. We are out of tune when we sing our own song – it produces a different wavelength. Sometimes that harshness is grating, screeching even. But as we learn to tune in and harmonize with what God is doing, we can ride the rough waves instead of fighting them. This is the message of hope that Zephaniah brings in his writing. What register of my life needs a tune-up? Because here is the reality. Our singing doesn’t quite cut it all the time. Thirty years ago, when I took vocal singing lessons, my teacher modeled what I should sound like. Then he worked with me to make my voice even throughout several octaves. Like many singers, in higher registers, I would sing flat. He taught me how to tune up. How to support my diaphragm. How to shape the position of my mouth or blend my head voice. Every great singer today still has a vocal coach to work with them and tune them up. Know one ever gets to the point where they’ve got it down perfect. So what part of your life needs a tune up today, so you can hear and then harmonize with God’s joyful song of love in your life? Do you need to abandon fear? Do you need his strength? Are you craving dignity? Are you feeling hopeless in face of the future? Does your character need to be strengthened? The LORD wants to do all of that for you. Do you hear Him singing? 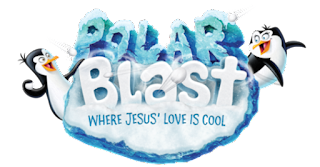 Two weeks until Polar Blast VBS - Register today! It's time to register for Vacation Bible School! Fun activities for kids pre-school through 6th grade! This coooool event will be held on Monday, July 23rd and Monday, July 30th from 6 PM to 8:30 PM. Everyone is invited to participate! You do NOT have to be part of our church to attend. But please help us out -- sign up TODAY so we know can plan for a brrrrty good time! We are pleased to welcome the Bowling family in today's service. They will be taking over the leadership of Chi Alpha college ministry at KU this fall! Are you ready for Wheat Fest? We need your help! We will be passing out free water and staffing a kids bubble station at the Wellington Wheat Festival picnic on Wednesday, July 11th from 6 PM to 8 PM Just sign up for 30 minute shifts this Sunday!